Dave McIntosh has been racing on the road, track, and MTB since 1986. He is a 26 time Colorado State track champion, with both elite and masters titles to his credit. He rode the 1996 Olympic track cycling trails, placing fifth in the team pursuit and has numerous top five finishes at the national track cycling championships, both elite and masters. Dave graduated from the University of Sioux Falls in 1992 with a bachelors in exercise science, after which he completed his internship at the United States Olympic training center in Lake Placid, New York, working with Olympic winter athletes prior to the 1994 Olympics in Lillehammer. In 2012, Dave traveled to Rwanda, Africa, to assist with the daily coaching of the Rwandan national team prior to the 2012 Tour of Rwanda. During the Tour, Dave was the DS for the Garneau/Quebecor professional cycling team. 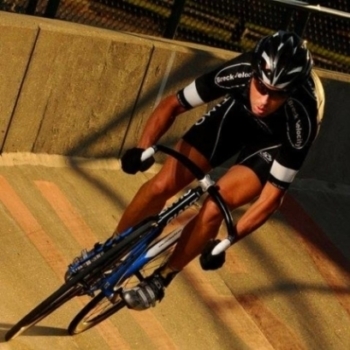 Dave is a level 2 licensed USA cycling coach, and has been coaching professionally for 19 years. Dave prides himself on data driven feedback as well as good customer service. Daves attention to detail in both crafting workouts as well as providing feedback are among his strengths.